4 bed · 4 bath · 2214 S.F. Foot Print: 80ft. x 60ft. 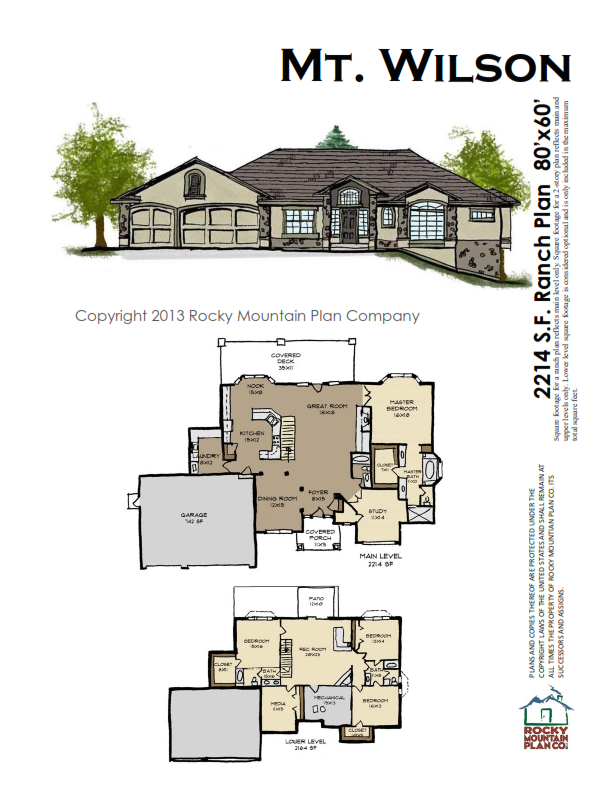 This charming ranch features Master Suite on main level with open family room. Lower level combines bedrooms with media room and optional guest room.